You are here: Home / Featured / My Personal Injury Case: Will It Have to Go to Court? My Personal Injury Case: Will It Have to Go to Court? 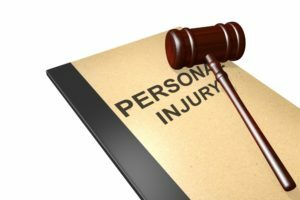 The easy answer to the question, “Will my personal injury lawsuit go to court?” is that it all depends. Many factors have to be considered before that decision is made. At Springer & Lyle, each claim is prepared as though it will go to trial. Meanwhile, we consider reasonable settlement offers and advise the clients accordingly before we ever get to court. Our goal is to help each client maximize the value of their claim. In a high percentage of cases, this can be accomplished without a trial. Having said that, each case is different and there are many factors that go into the analysis. And, there are a handful of cases that just end up at the courthouse no matter what. It seems like insurance companies are notorious for making low settlement offers early in the case. You may feel desperate because you are incurring high medical bills at the same time you are losing wages because you can’t work. It may be tempting to accept the first offer. But, the adjuster almost always has more money, and is hoping you will accept the first offer and sign away your rights to collecting more. What is a reasonable range of settlement for the case? To determine this, we consider the likelihood of our client’s best day in court vs. their worst day in court. As a first step, we determine your medical expenses and lost wages that can be proved in court as the burden of proof on all issues is on us. We may need an expert witness to determine the cost of your future medical expenses, and loss of earning capacity if you are unable to return to work. If you have to spend money on job retraining, that figure is included. Pain and suffering you experience are also factors to consider along with any permanent impairment, scarring, disfigurement and loss of the enjoyment of life. We also have to factor in the cost of litigation. Some case expenses are reimbursable court cost but most are not. Because of that, a higher jury verdict will not always maximize the value of the claim for the client, it depends on the case. We also consider whether punitive negligence damages may be awarded based on the conduct of the at fault party. If there is gross negligence such as a DWI or texting associated with the conduct, it is much more likely that a judge or jury would award extra damages. What settlement proceeds have to be paid back to other parties? For example, if health insurance has paid claims, the company has a contractual right to be reimbursed for some or all of what it has paid. Depending on what type of health plan it is, Texas law may be used to seek reductions on what has to be paid back. An experienced attorney can help walk you through the evaluation process to determine if a settlement offer is reasonable for your case. The personal injury attorneys at Springer & Lyle have the knowledge and experience to help you maximize the value of your claim. Contact us at 940.387.0404 for a free consultation.